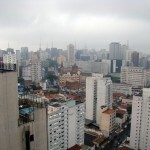 If you have been looking for an opportune time to invest in Brazil, it's coming first in 2014 when the World Cup will be played in the town of Fortaleza on the northeastern coast, then again two years later when the summer Olympics come to Brazil. Property investors should sit up and take notice. Infrastructure improvements that always accompany events like this inevitably drive up real estate prices. The â€œWorld Cup Effectâ€ is already being felt in Fortaleza. The Brazilian government is investing $5.3 billion with 63% of that money going to infrastructure improvements designed to handle the tsunami of traffic. Being a World Cup host automatically raises the global profile of a city in the years leading up to an event, putting it on the map for tourists to an extent usually not noticed before. It should come as no surprise that JetSetter suggests you proceed very carefully when investing in a foreign country. There's a good chance that laws are radically different than where you live. Consider hiring a real estate agent and attorney in the early stages. The key to investing in property anywhere is that it must make financial sense the day you buy it. This concept is discussed in great detail by our sister company Platinum Properties Investor Network (www.JasonHartman.com). Before investing in real estate anywhere, take a moment to investigate that website and study the free educational materials related to choosing investment properties. Meanwhile, keep an eye on Brazil.